These past few months Urban Stable has been hosting Jen Sebring in her practicum with her Women’s and Gender Studies Practicum course through the University of Winnipeg. 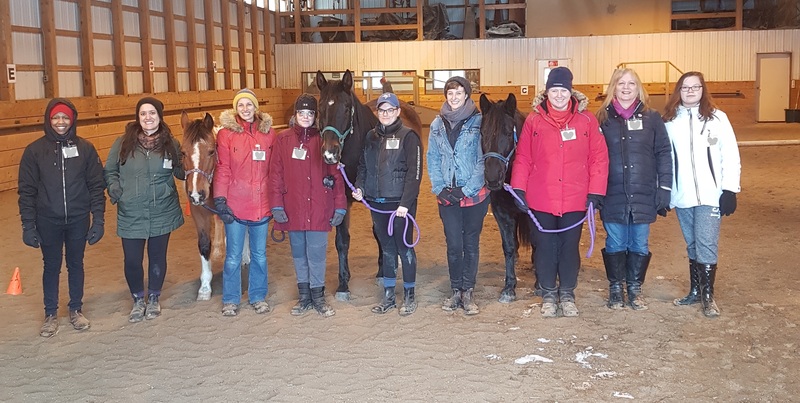 Jen is the second practicum student that Urban Stable has mentored and we have enjoyed working with her as she planned and implemented an equine experiential learning workshop for youth in partnership with PRISM – Big Brother Big Sisters. Jen and the Urban Stable staff and volunteers delivered this workshop on March 9th, working together to facilitate and introduce the youth and their mentors to horses. It was a fun day with great positive energy where the participants, through their work with the horses, made important self discoveries, connections and learned valuable life lessons. Thank you to the youth and their mentors from PRISM who attended the workshop and a big thank you to Jen for the hardwork she put into designing and implementing such a great program for these youth.